Professor Rehman has 22 years of experience performing digital forensics for government agencies, corporations, and attorneys. This experience spans both the government sector and private sector, first in law enforcement and for the last 18 years through his company Rehman Technology Services, Inc. 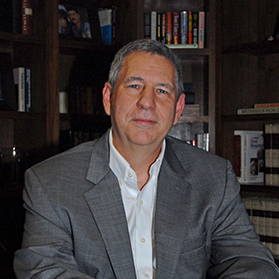 Frequently interviewed by the media for stories involving digital forensics and other high tech matters, Professor Rehman is a Retired Florida Department of Law Enforcement Special Agent whose primary duties included electronic surveillance and computer crime investigation. Other teaching assignments have included the FBI Academy in Quantico, Virginia and the University of North Florida, Institute of Police Technology and Management. Professor Rehman is an NRA Training Counselor (TCs train NRA Instructors) and his wife is an NRA Certified Instructor. They provide advanced firearms training and sales through their company, Strategic Outfitters, LLC.